Anthony Scardino Jr. is a former New Jersey State Senator and mayor of Lyndhurst. He served for 18 years as the Executive Director of the New Jersey Meadowlands Commission (NJMC). Commissioner Scardino entered a life of public service after he completed four years in the United States Air Force. He served as Mayor of Lyndhurst, a trustee on the township’s Board of Education, and a New Jersey State Senator for seven years before taking on his role at the NJMC. Currently Senator Scardino serves as President Emeritus of the 200 Club of Bergen County; the Hackensack University Health Network, Inc. Advisory Board; Commissioner of the New Jersey Sports and Exposition Authority; Chairman Emeritus and member of the Board with the Meadowlands Chamber of Commerce; Meadowlink Board and the Advisory Board for Spectrum for Living. His past service includes the Felician College Board of Trustees; the Bergen County Law & Public Safety Institute; and Chairman of the Board of Hackensack University Medical Center. 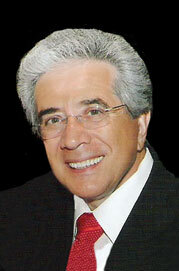 In 2000, Senator Scardino was awarded an Honorary Doctor of Humane Letters from Felician College. Senator Scardino and his wife, Madelyn, have 5 children, 12 grandchildren and 1 great granddaughter.